Boy, this was a challenge! 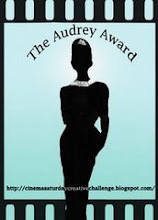 This card is for week 4 of Theresa's Designer Handbag Inspiration Challenge. I have black glossy paper in my stash, so I decided to use the details of the Ralph Lauren handbag as my inspiration. This photo doesn't capture the glossy paper...ugh! Earlier this Summer, I bought some Making Memories felt pieces. Included were sunglasses. I tried turning them from turquoise to black, but it didn't work. I traced them on glossy paper instead and cut the shape out. I got to play with new SU stamps, scallop edge punch, and In Colors at Peggy's house on Saturday. She had everything nice an pre-cut for us. We just had to stamp and assemble. This was the make-n-take she gave us. The new In Colors are growing on me. I also got to see my good friend, Rebecca. 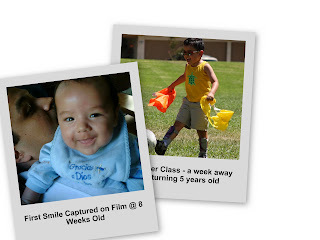 My son has an appointment tomorrow with his Pediatrician, Dr. Chen, because of his allergies. Seems like the poor kid's been sneezing on and off since March. His pediatrician is leaving her practice in a few days. I made this card to thank her for 5 years of care. She's been Kalino's doctor since the beginning and he was sad when I told him today that tomorrow will be his last appointment with Dr. Chen. 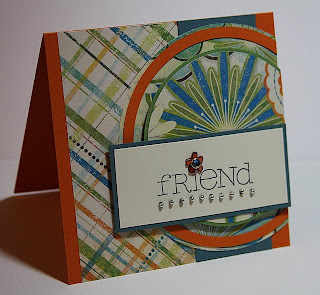 This card was made using the colors for Kristina's Color Inspiration Challenge #20. Good choices, Kristina! I love pinks with chocolate chip. I don't have Regal Rose and Pink Pirouette inks/cardstock, so I used Rose Romance and Pretty in Pink. This is the first time I've done one of Beate's weekend sketches (WSC54). I'm glad she's back. I love this type of sketch. I had to create a card. This was not a relaxing evening. It took forever to get Kalino to fall asleep. Tomorrow is his first day of Kindergarten. I think we are all a little nervous. We'll I barely made the deadline, but here's my card for week 3 of Theresa's Designer Handbag Inspiration Challenge. This was a tough one for me. I created a card that I didn't like. I had to start all over. I was trying to capture the texture of the woven rattan. It didn't work. Here's version 2.0. Happy Friday, everyone! Kristina gave us a great challenge. We got to choose the 4th color. I chose a tangerine-type color. I loved the inspiration photo of a bedroom belonging to a designer that works for Nate Berkus. Love his style and hers! The wall and bedding were my biggest inspiration. I finally had a chance to play with my new sewing machine. I've only owned heavy, metal, 30-year old hand-me-down sewing machines that only had a straight stitch. This is my first time playing with other stitches. Fun! My biggest challenge was sewing in a straight line. If anyone has any tips about sewing on cardstock, I'd like to hear them. For the butterfly, I used my Martha Stewart butterfly punch to punch our a shape from my SU rub-ons. I applied the rub-on to cardstock and then repunched out the image. I NEVER, Never, never, make Christmas cards in the Summer. I can't get into the spirit of the holidays when it's 90+ degrees outside. This is the first time I've ever made a Christmas card at this time of year. I loved Julee's sketch #12 for the Anni-VERVE-sary. I used an embossed resist on the layer with the background stamp. 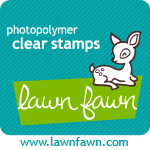 I stamped the large background stamp with white pigment ink on white cardstock. I embossed it with clear embossing powder. I used a brayer to apply Cranberry Crisp ink on top of the image. I wiped away the excess ink with a paper towel. Of the 12 cards I uploaded to Splitcoaststampers, this card has gotten more hits and comments than the other 11 cards. This card was for sketch #11 of the Anni-VERVE-sary. I love the Birthday Whimsy set, and I haven't used it enough. I stamped the birthday cake on 3 different papers: white, certainly celery, and Spring Silhouettes DSP. Using my Stamp-a-ma-jig, I restamped the cake on the DSP using VersaMark ink. I embossed it with clear embossing powder. Then I rubbed the Close to Cocoa pad on top of the stamped image. I used paper towel to remove the excess ink. I paper pieced all the image on the white cardstock. On the flames of the candles, I added gold gel pen and Stickles. 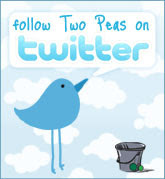 I like this card. This card uses sketch #10 from the Anni-VERVE-sary. The heart-shaped BasicGrey chipboard fit perfectly on top of the "v". I stamped the Wishing you Love stamp in dye ink and then with VersarMark ink so I could emboss it with clear embossing powder. There is something I just love about kraft cardstock. I love it. When I see you all use it too, it just looks great. Sorry, I'm still posting cards I did over a week ago for the Anni-VERVE-sary. This one was for sketch #9. I used embossed resist for the layer with the larger Fresh Cuts stamp. I don't know about you, but I never have all the cardstock colors for Stampin' Up. I usually get some glossy Kromekote paper and I use a brayer to apply ink to the paper. In this case I made a layer of Rose Red paper using that technique. I've missed at least 2 of Taylor's Cupcake Challenges. I finally had time tonight to complete a card for her latest sketch (Cupcake Challenge #29). I love circles! This card involved no stamping and no ink pads...I created the sentiment on my computer with Microsoft Word and the images are all BasicGrey rub-ons. I also used the some printer compliant Stampin' Up Codes to get my printer to print a Blue Bayou color on white cardstock. This is my favorite of all the 12 cards I made for the Anni-VERVE-sary, so I guess it's fitting that I used the phrase "Simply the best." This was Julee's sketch #8. When Ericka was here last week for a day of stamping, we went to lunch and then next door to Michael's. Can you believe this Martha Stewart butterfly punch was reduced to $5? Had to buy it...Ericka bought one as well. 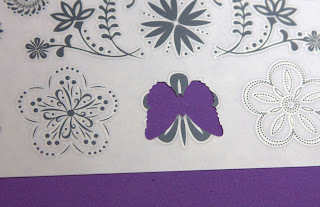 I stamped the Verve butterfly stamp on cardstock and then used the Martha butterfly punch. I like the effect of a butterfly within a butterfly. I love the look of the mini pearls on each butterfly. I love the clean lines of a faux bow. I created this card for Anni-VERVE-sary (sketch #7). 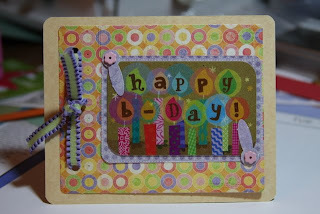 It's again using one of my favorite Verve sentiment stamps. I love the Crayon resist technique, so here's another card. I love Crayons! When Shari Carroll from Hero Arts had a YouTube video in May reminding me of the technique, I had to to take Kalino's Crayons to my studio. Oh my goodness, how could I forget to mention a very nice email I received this morning! Susanna Boyd (Card of the Week.com) said this card I created for the Anni-VERVE-sary was 2nd a runner up this week for Card of the Week. That made my day for sure! Thanks, Susanna! Happy Friday everyone! It's very warm here today again. I love all the latest Verve stamps! Their sentiments are so cool. I even like the font on this stamp. This card was for Anni-VERVE-sary (sketch#6). I'm continuing to post entries I did a few days ago for the Anni-VERVE-sary. This was sketch #5. This was the first card of 12 cards I stamped in a short time. I love this pebble-textured paper I found at Craft-It (my local scrapbooking store). Craft-It is so cool. They also have a coffee, food, and dessert place inside the store! I paper pieced the image. I had a little ink mistake near the exclamation point. Oh, well, I took this picture before fixing the problem. This stamp is great. Kalino loves it! I love the Inque Boutique stamps. I created this card for Anni-VERVE-sary #4 sketch. In this photo you can't really see the stamping I did on the Going Gray piece. I'm a bit of a hoarder (OK...more than a bit) when it comes to supplies. I've had this Making Memories metal tag for a couple of years. I finally used it for Julee's Anni-VERVE-sary sketch #3. I love the Verve Asian Flair stamps. I'm embarrased to say I've had them for a month and this was the first time I inked them up. This card was for Julee's Anni-VERVE-sary sketch #2. The card started with the dotted chipboard tag from the $ bin at Target. I messed up some stamping, so I added a butterfly to cover up my mistake. I finally finished the 12 cards for the Julee's Anni-VERVE-sary sketch challenge! I completed all 12 cards in less than 48 hours. That's a record for me. I was up till almost 3 AM and I was up again by 7 AM. It's after 2 PM and I haven't showered yet. This was also the first time I uploaded anything to Splitcoaststampers (my gallery). I messed up the categories a few times. I was in such a rush, I forgot to select the SU stamp set names. Sorry, Splitcoaststampers!! Julee's first sketch was the hardest for me to complete. I created this card last. My demo, Peggy, is quick. She had the SU catalogs since Wednesday! I picked mine up today. She also gave me the Celebrando Creatividad supplement catalog. Thanks, Peggy! Wow, I love that Stampin' Up created so many new Spanish sets. Love it!!! We just got back last night from vacation in New Mexico. Perfect timing for Kristina's Color Inspiration Challenge #18. My best stamping buddy, Ericka, was here today for a girlies day of shopping and stamping. She's visiting from Seattle. Very nice day. Basic Black, Pumpkin Pie, Rose Red, and I choose Green Galore instead of Summer Sun. There was no stamping involved on this card. I had this Prima felt strip for a while and I hadn't used it. I thought it was perfect for this challenge. I haven't used my paper crimper in ages, so I used it on the Rose Red paper. I tried to use more Pumpkin Pie on this card, but it looked very Halloween-esque and I didn't like it. Oops, Kristina's deadline is fast approaching...I better post this quick. Here's another card with the gift card on the front of the card. This card is for my niece, Krista. She's turning 12. They grow so fast. Kalino turns 5 years old today. My how he has grown quickly. He will start Kindergarten next month. I feel bad because I didn't make him a card. When we check the mailbox, he complains no one sends him mail. I reassured him that he will get mail for his birthday. I'm on vacation. Have a good Friday everyone!